All you can ever give is your best shot. But that’s actually much harder to do than it sounds. It’s incredibly hard to care about something so much that you put everything you have towards it, without holding anything back in your mind. It’s scary to risk failure. I mean, what if you really truly train your heart out for years, put all your resources towards a race and then race as well as you can, and it doesn’t go the way you imagined? It’s safer to have a pre-programmed excuse ready just in case, right? (no, not right). The thing is, nobody ever died of disappointment. It hurts a lot, but you learn from it and move on, and the next time is usually better. We can’t be so afraid of an outcome that we never let ourselves have a fair chance in the first place. We can’t self-sabotage or race with one foot out the door, ready to jump ship if we sense impending disaster. We have to be ok with risking our egos and our pride and knowing that the people who matter in our lives will be more proud of us for really truly going for it and falling short rather than holding back and playing it safe. Why am I ranting about this? Because I get so inspired when I see my teammates putting it all out there day after day. Because that’s the way I try to race every single time I step on the snow. Because I believe it so much that I feel the need to rant about it (and isn’t that what blogs are for?). And because some big, big races are coming up this season and I don’t ever want to race without my entire head in the game. So here we are in Falun, ready for another weekend of World Cup racing; a skate sprint and a classic 15km mass start. Ready to put it all out there again, and give it our best shot! 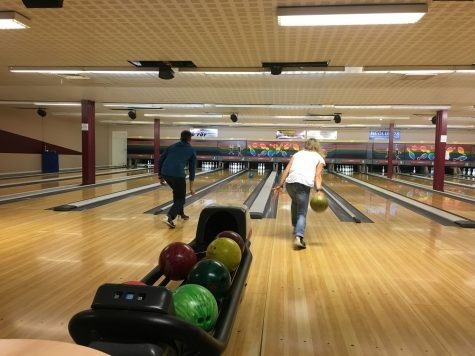 We celebrated Ida’s birthday with a night of bowling with Germany, Italy and our team! 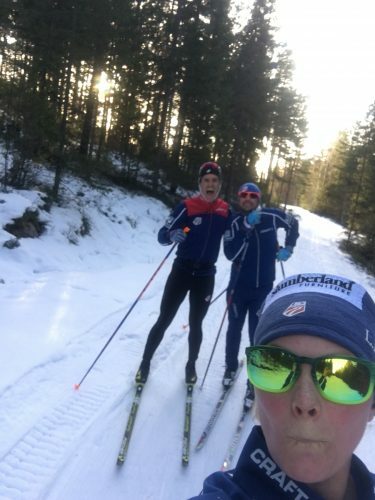 Loving the chance to ski the old World Champs courses in Falun with Simi and Cork! 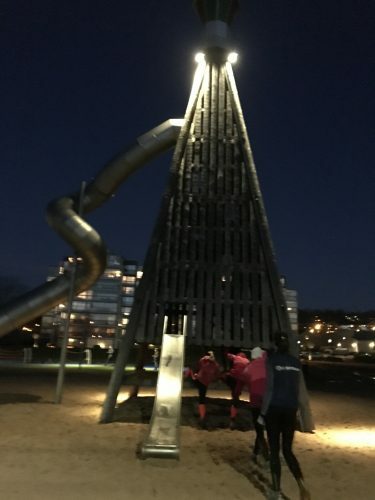 We had to try out this gigantic playground slide during our team night jog to loosen up before the race. In the 10km skate distance race in Ulricehamn, I didn’t have the race I wanted but I went out hard and then hung on as best I could! It was really energizing to have the crowds forming this sort of screaming, waving tunnel and I remember feeling absolutely bone-tired laying in the finish area afterwards, feeling like “wow, I just totally drained myself!”. The next day in the relay, it was so exciting but nerve-wracking to see our team doing so well and then get tagged off knowing we had a chance at 2-5th place. I skied as best I could but it was a fairly flat course, and the draft prevented both dropping and getting dropped more than other courses. It came down to a sprint finish, and although I tried to pull a slingshot going into the stadium it didn’t work and I rounded the corner last, fighting all the way to the line. 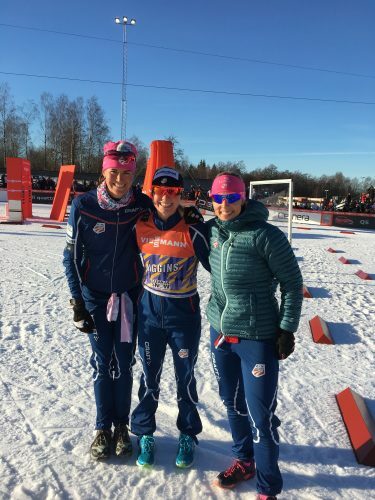 Which ties in with the theme of this blog post – I was initially really disappointed with myself, because I really love my teammates and wanted to help us get this medal together with all my heart. But I tried, I lead the whole first half of my leg and wasn’t able to drop people, and then I tried again with the sprint out and it didn’t go my way. But the point is, I TRIED. And I didn’t play it safe. And that makes me proud of how I raced. And my teammates really laid it all out there as well, and that makes me proud to be part of this amazing group of people! 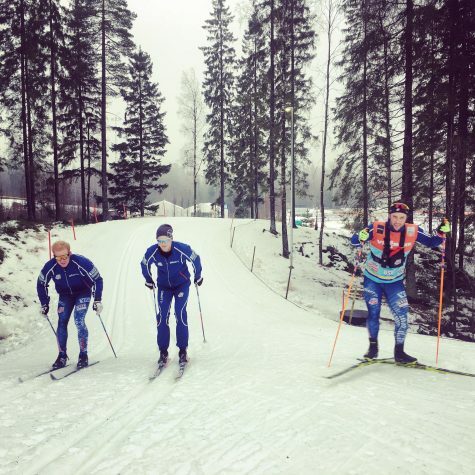 Gelso, Erik and Tim testing skis on the course in Ulricehamn a few days before the races.